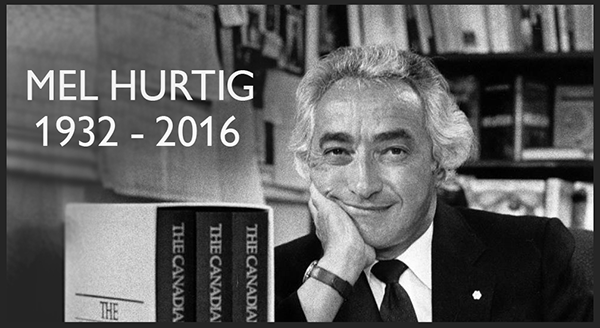 Former Edmontonian Mel Hurtig died in Vancouver on August 3, 2016, at 84 years old. His two passions—publishing and politics—intersected to create a lasting legacy. What started as one Edmonton book store became a long, storied career in Canada’s literary and political scenes.